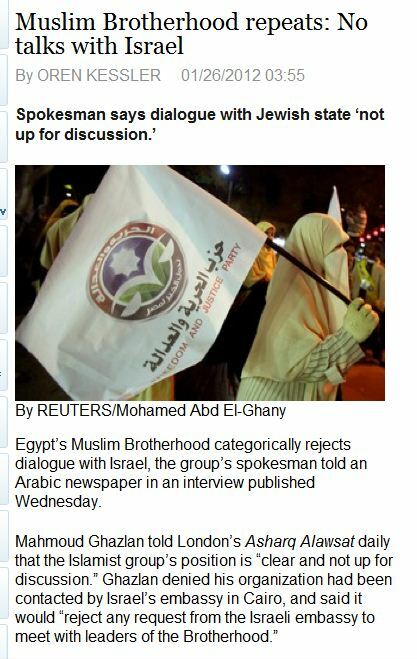 NEW DEMOCRATIC EGYPT: MUSLIM BROTHERHOOD REAFFIRMS PLEDGE NOT TO TALK WITH ISRAEL…….. – The Tundra Tabloids……. NEW DEMOCRATIC EGYPT: MUSLIM BROTHERHOOD REAFFIRMS PLEDGE NOT TO TALK WITH ISRAEL……..
Jimmy Carter still wearing stupid grin. Previous Post Previous Post NEW DEMOCRATIC EGYPT: SALAFIST LEADER YASSER AL-BURHAMI GIVES ISLAM 101 LESSON……. Next Post Next Post US AMBASSADOR TO RUSSIA PERSONIFIES OBAMALAND: US VALUES NOT WORTH EXPORTING……..